With the IFA 2017 coming up, Sony is expected to launch several smartphones at the event. While most of the reports have suggested that Sony will launch a flagship handset which will be the Sony G83XX model and a compact version which will be Sony G84XX. 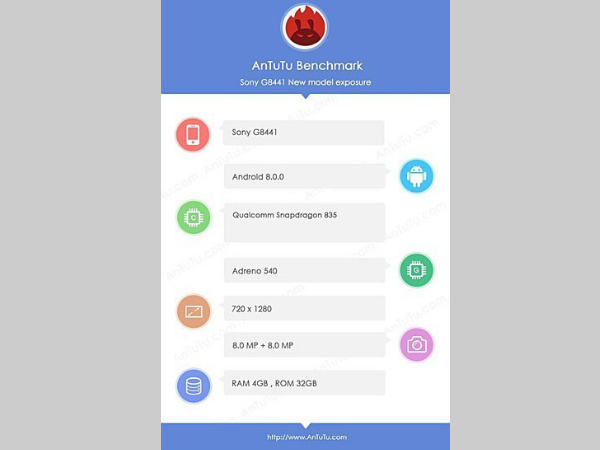 While nothing is officially confirmed as yet, a new Sony smartphone has just appeared in a benchmarking database, AnTuTu. Dubbed as Sony G8441, this is yet another smartphone model from Sony. So the question now is which smartphone will Sony actually launch. That being said, the appearance of the new smartphone on AnTuTu means only one thing. We now get to know some of the key features and specifications of this device. And at the same time, we will be giving or guesses on which smartphone this model could actually be. Besides, the listing on AnTuTu reveals that the device is powered by a Snapdragon 835 chipset. The device seems to come with 4GB RAM and 32GB internal storage along with sporting a 720p HD display. As for the camera the alleged smartphone sports an 8MP sensor both at the front and rear. The interesting thing here is that the smartphone is running on Android O. However, it is worth noting that these are not the final specs that the smartphone will be launched in. The company is basically testing the smartphone and the features and the company might not include these in the final product. As for our assumptions, we are guessing this Sony G83XX model could be a smartphone in the Sony Xperia XZ series. 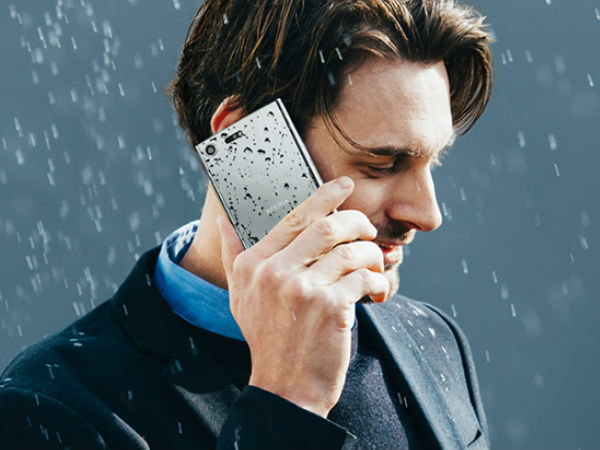 But again it could entirely be a new smartphone in a new series. As of now, no official statement of confirmation has been provided about the phone or its availability. We are expecting the company to make some announcements during the company’s IFA conference in Berlin on August 31.